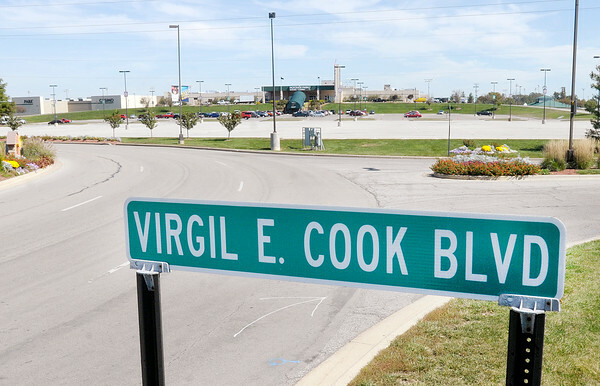 Sign for Virgil E. Cook Blvd. in front of Hoosier Park. Since the Mounds Lake proposal surfaced rumors have been circulating that the Mounds Mall might relocate to the area around Hoosier Park.